Every year thousands of people like you realize they need help. They need a helping hand taking care of an elderly parent or convalescing family member, or keeping up with the burden of being a family caregiver. 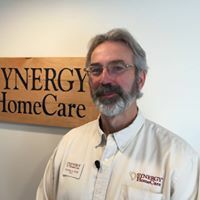 SYNERGY HomeCare, a non-medical home care agency - as opposed to a ''home health care” agency - was founded in 1999 to provide much needed respite and personal care, as well as compassion and companionship for the elderly, or those recovering from illness, surgery, or childbirth and the disabled.